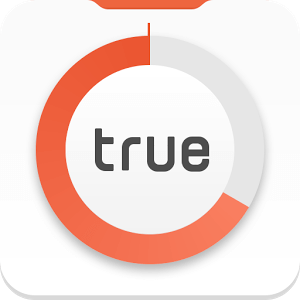 True Balance App - Free 100% Cashback on Mobile Recharge. Get 100% cashback when you do mobile recharge on True Balance App. There is no any Minimum Recharge amount and the very good news is it's valid for Airtel users Only. Airtel users are also applicable to be the part of this great Offer. True balance is the app that you can earn money by installing some apps. it does not allow to download it via WiFi. All the things must be done by mobile data. It will show all the information regarding how many data you have left and show up the mobile balance. You can also earn by referring your friends or colleagues by your referral code or just give them your referral link. it will be redirected to the play store and will avail to get free Talktime of Rs 10. The New User and the referrer, both will get Rs. 10 on their wallet. This balance is valid to do recharge on any mobile number but not outside of India. How to get Free Recharge on True Balance App? Trick to get free recharge from True Balance App! How many times recharges eligible to get avail for this offer? Is that any fast way to get cashback from True Balance App? So, those are the questions that have been asked by our users. Here is the answer. After Download, Install it and Open True balance app. Verify it from your mobile number(unregistered number) by OTP. Now move to the recharge section: Recharge -> Mobile Number. After that, pay it through online banking, debit card, or credit card. After successful recharge, you'll see the wallet balance is Rs 110. This Rs 10 will be added when you download this app and successfully register it from our blog. Confirmed on successful Recharges did till 28th Feb 2017. Valid on credit/debit card / Net banking transactions only. Canceled orders will not be acceptable for Cashback. Not valid on Virtual Cards & International Cards which are distributed outside India. True Balance has the Privilege to end or calls back any or all of its offer without prior notice. If you still confused and don't understand what to do or getting an error during this process/steps then feel free to ask us by commenting on this post or just open Contact Us page from our blog. We are always here to help you.